Bicycle commuting through downtown D.C. has its charms — when I’m not dodging SUVs making illegal turns and running red lights. Case in point — we cyclists get to enjoy little parks that are not well known, and provide quiet alternative routes away from the main streets. 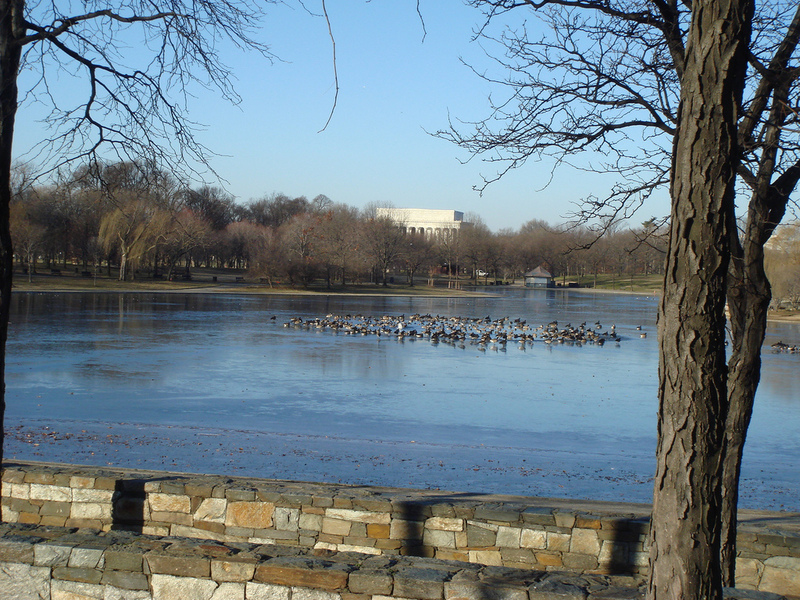 Here’s a photo of Constitution Gardens Lake, on the National Mall looking toward the Lincoln Memorial. We see a lot of waterfowl here in the winter. Constitution Gardens Lake, Washington, D.C. The Audubon Society talks about the lake Here and the National Park Service has a page Here.